With an insider’s wink and plenty of verve, former Washington Post columnist Bob Levey chronicles a fictional campaign for a Maryland Congressional seat. 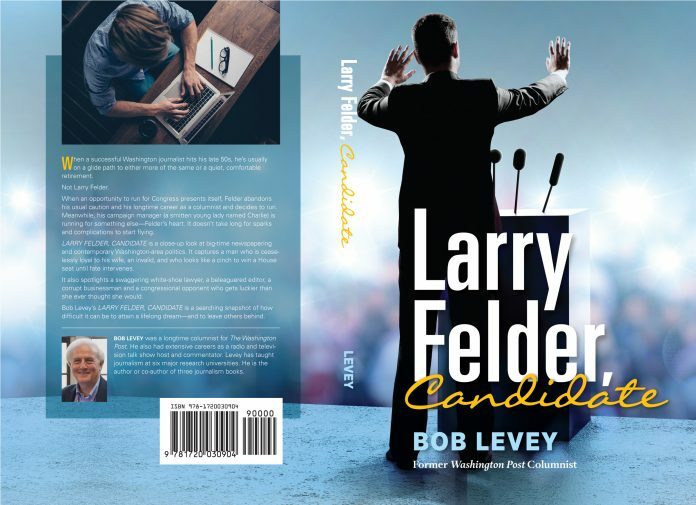 In “Larry Felder, Candidate,” former Washington Post columnist Bob Levey spins a lively story that careens between the “lurching, desperate, can’t-feel-the-bottom of the lake world of print journalism” and the glossy, gritty, deal-making arena of politics. It’s no surprise that he does so with flair and credibility. 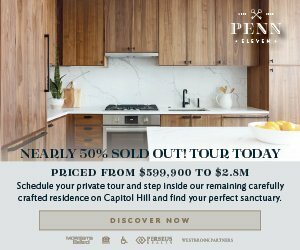 Levey has had a front-row seat to both worlds, having covered the local scene for the Washington Post for nearly four decades. Levey’s insider knowledge serves him well as he describes Felder’s transition from a dull but ethical newspaperman to a calculating candidate. It’s all here: the predatory opponent digging for dirt, the overly-tanned lawyer who can’t stop bragging about his sexual exploits, the ruthless businessman looking for any way, legal or not, to gain a competitive edge—and an ambitious young campaign manager who’s in love with her boss. Needless to say, Felder’s road to Capitol Hill is strewn with obstacles the size of the federal budget. But never fear: thanks to Levey’s deft writing, wry (but not too cynical) voice, and big dash of heart, this is one campaign bus you’ll want to hop onto. In addition to his reporting for the Post, Levey wrote a daily column, “Bob Levey’s Washington,” for 23 years, and also enjoyed an extensive career on radio and television. He does not plan to run for political office. For more, go to www.bobleveypublishing.com. In “The Stories We Tell,” Hill journalist and editor Patsy Sims presents a collection of literary nonfiction by some of America’s finest female writers. 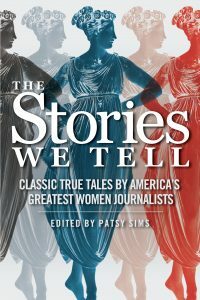 When I recently had to spend a tedious stretch in a hospital waiting room, I prepared by packing a PayDay bar, a mystery novel, a puzzle book, and “The Stories We Tell: Classic True Tales by America’s Greatest Women Journalists,” a collection of literary nonfiction edited by Hill writer Patsy Sims. Five rapt hours later, the PayDay was long gone, but neither the novel nor the crosswords had seen the light of day. This remarkably engrossing anthology includes some of the best writing you’ll ever encounter, both by luminaries in the field (Gloria Steinem, Joan Didion, Lillian Ross) and by others whose names may be less familiar but whose work you’ll soon avidly be seeking out. While I dove in from cover to cover, the collection is eminently browsable—but be advised that it would be a mistake to skip anything. Even topics that may not immediately interest you—bullfighting, face transplants, the Jewish ritual bath called mikvah—come alive in the hands of these extraordinary writers. From assisted suicide and girls’ basketball to the working poor of Tennessee and reproductive rights in Texas, each topic becomes an eloquent gem of engaging observations and informative prose. One of my favorites, by Suzannah Lessard, focuses on the social boundaries between neighborhoods in New York City, where even the nature of the displays in store windows can, within just a few blocks, reflect deep socioeconomic divisions. 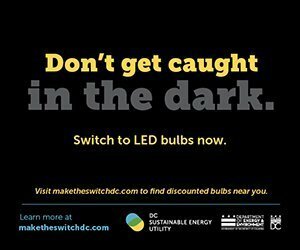 The personal profiles are equally illuminating. If you’ve never had a burning desire to learn more about B.B. King or Rudolf Nureyev, or thought there wasn’t much more to be said about Jacqueline Kennedy, think again. These insightful pieces go well beyond brilliant personality sketches to reveal larger truths about the world we live in and, ultimately, about ourselves. 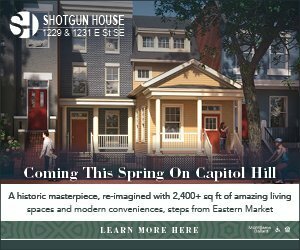 The Hill Center’s “Life of a Poet” series, co-sponsored with the Library of Congress, The Washington Post, and the Capitol Hill Community Foundation, features a conversation with The Post’s Ron Charles and poet Ross Gay, Feb. 6, 7:00 p.m. Free but register at www.hillcenterdc.org.